I just discovered your site and have spent the past twenty minutes going through these archives. Your drawings are wonderful. I love drawing animals. Elephants are really hard. I notice most of your daily drawings have baby animals. 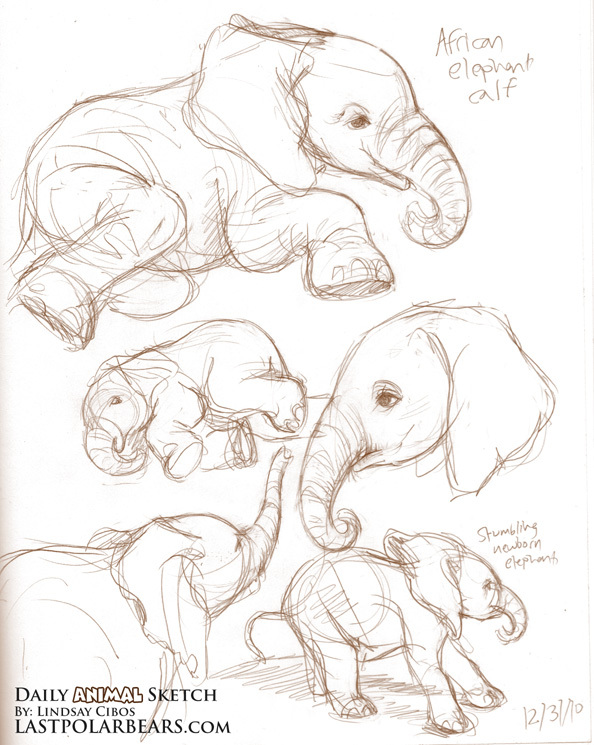 Do you always draw baby animals? Oh thank you! From a fellow animal artist too, I’m honored!